Start in Brazil and finish in Peru! Visit six stunning South American countries on this epic group adventure tour. 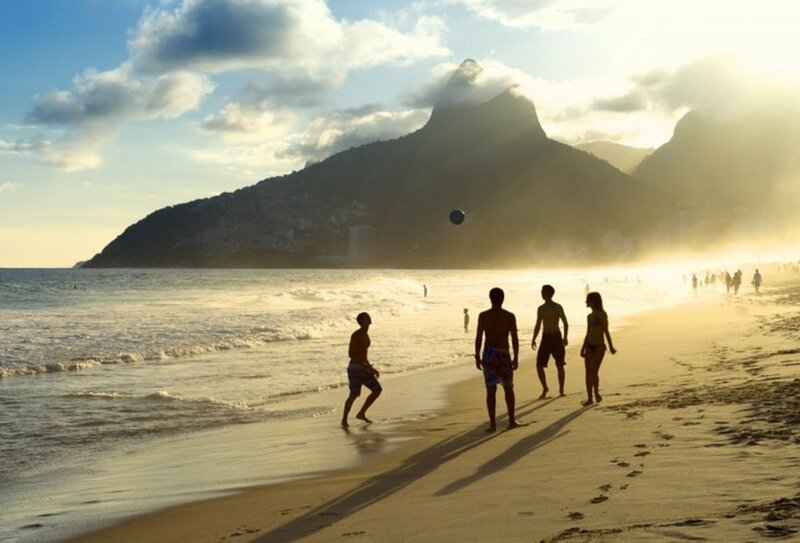 See it all from Rio to Lima, and everything in-between! Kick off in Brazil, be awed by Iguassu Falls, head off the beaten track in Uruguay, explore Argentina and enjoy the buzz of Buenos Aires, see Chile’s amazing Atacama Desert, enjoy a 3-day 4x4 excursion into Bolivia’s Uyuni Salt Flats, discover Bolivian cities such as Sucre and La Paz, hike the famous Inca Trail in Peru, see stunning Machu Picchu and Lake Titicaca, visit the strange Nazca Lines, enjoy Cusco and end this incredible experience in Lima – awesome! 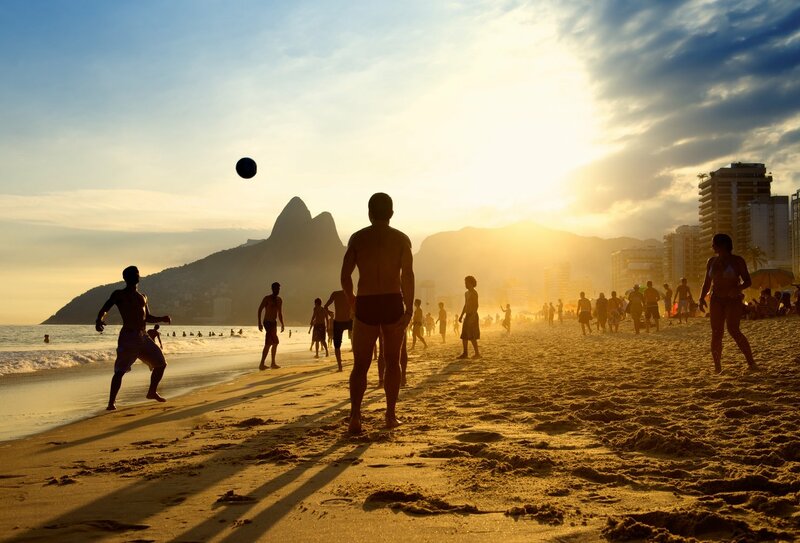 Begin this epic adventure tour in colourful Rio in Brazil. Stay on Brazil’s stunning Ilha Grande, explore Paraty and visit mighty Iguassu Falls – unforgettable! See the best of Peru: Hike the iconic Inca Trail, see breathtaking Machu Picchu, stay by the shore of Lake Titicaca, visit Cusco and the Colca Canyon, see the mysterious Nazca Lines and end your exciting 51-day tour in lively Lima! One of Rio's beautiful beaches. The wonderful waterfalls of Foz de Iguassu. Some meals (we recommend you bring around USD 1065-1400 to cover non inclusive meals. Welcome to Rio! Arrive in Brazil’s brilliant beach city in time to meet your group and guide at a welcome meeting in the early evening. Travel out of Rio to the idyllic, tranquil island of llha Grande. Relax in paradise as you laze on sandy beaches, swim, spot wonderful wildlife or try awesome optional activities such as biking, snorkelling, surfing, hiking, diving or a boat tour. Your next stop is the colonial town of Paraty, the perfect place to get away from it all. Paraty’s bay bursts with beautiful beaches and over 65 tropical islands. You will have 2 free days here to explore and try optional activities: Go on a jeep tour, visit a Cachaça distillery, take a boat tour, hike, dive, swim or snorkel or enjoy a horseback ride. Hop on board a flight bound for the incredible Iguassu Falls. 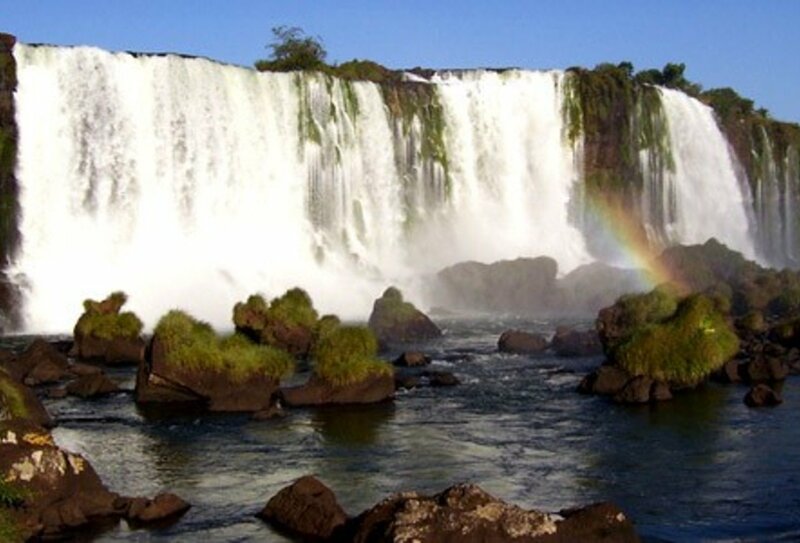 You will spend two days at this awesome site and get to view the falls from the Argentine side. Take an optional boat or helicopter ride or just be awed by the power of the falling water! Board an overnight bus or van and travel onwards into Uruguay. Begin your adventures in Uruguay enjoying rural life down on a traditional working ranch or ‘estancia’, where you will spend the next two nights. Learn about the history of the area, turn your hand to some farm tasks, tuck into a barbeque, explore the region on foot or on horseback or sit back, sip local wines and enjoy the scenery. A 4-hour local bus ride brings you to Uruguay’s buzzing capital city, Montevideo. The next two days are free time for you to discover this lively city at your own pace and try exciting optional activities, which include museum visits, a tour of the football stadium, shopping at Port Market, cycling, a city tour or a day trip to Punta del Este. Your next Uruguayan stop-off is the charming colonial city of Colonia Del Sacramento. A local bus ride of approximately 3 hours brings you in to the city, where your guide will take you on a short orientation walk. The rest of the day is free for you to explore. Rent a golf cart (18USD per person) and discover the Old Town using this unique mode of transport! 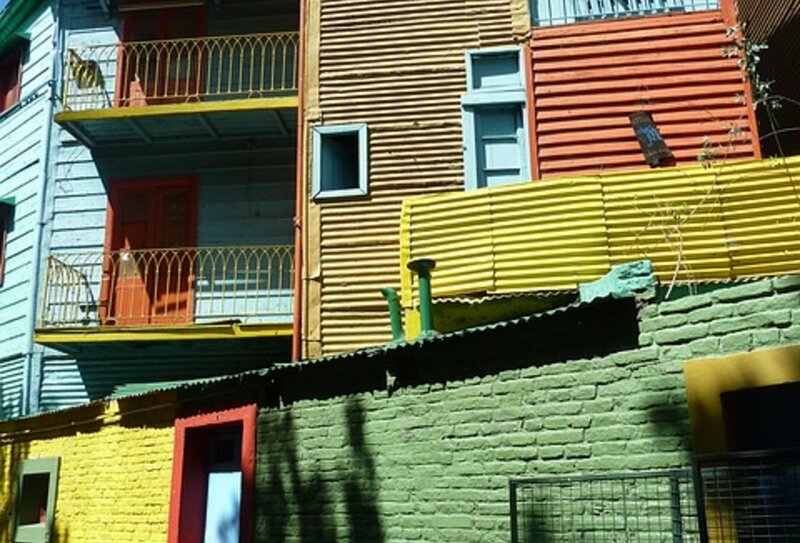 Cross the border into Argentina and soak up the cosmopolitan cool of Argentina’s charming capital city, Buenos Aires. Hang out at the Plaza de Mayo, treat yourself in smart Recoleta, watch a football match at the legendary Bombonera or just enjoy the laid-back lifestyle. Optional activities include a city tour, a tango & dinner show and much more! An inclusive 2-hour local flight brings you to Salta, in the Lerma Valley of northern Argentina. Optional activities here include a tour to see the stunning Quebrada de las Conchas gorge and to sample wines at Cafayate. Cross the border into Chile and travel by private bus, making the long journey to the small town of San Pedro de Atacama. Spend some free time marvelling at the scenery, go mountain biking, horse riding or sandboarding or opt to visit the bizarre lunar landscape of the Valley of the Moon. Enjoy a 3-day 4x4 excursion into Bolivia’s unique Salar de Uyuni (salt flats). Go off road in 4x4 vehicles and discover the unique landscapes between Bolivia’s Salar de Uyuni and the Atacama Desert in Chile. The landscape is dotted with mountains, active volcanoes, bubbling geysers and mud pools and the whole area has to be seen to be believed! Say goodbye to the unique salt flats of Uyuni and hop on a local bus for the 4-5 hour ride to Potosí. Sitting at a soaring height of 4070m (13,350 ft), Potosí is the highest city of its size on earth and is a UNESCO World Heritage Site famous for its part in Spanish colonial silver mining history. Enjoy some free time in this Bolivian city, or opt to visit a local silver mine for a unique tour experience (extra cost of USD21). A 3-hour local bus ride brings you in to the beautiful Bolivian capital city of Sucre. Sucre’s museums and colonial buildings make this a fascinating, historic place to explore. Optional activities include a dinosaur tracks excursion, hiking, biking, paragliding, horse riding, a visit to a textile weaving project or a visit to a local village. 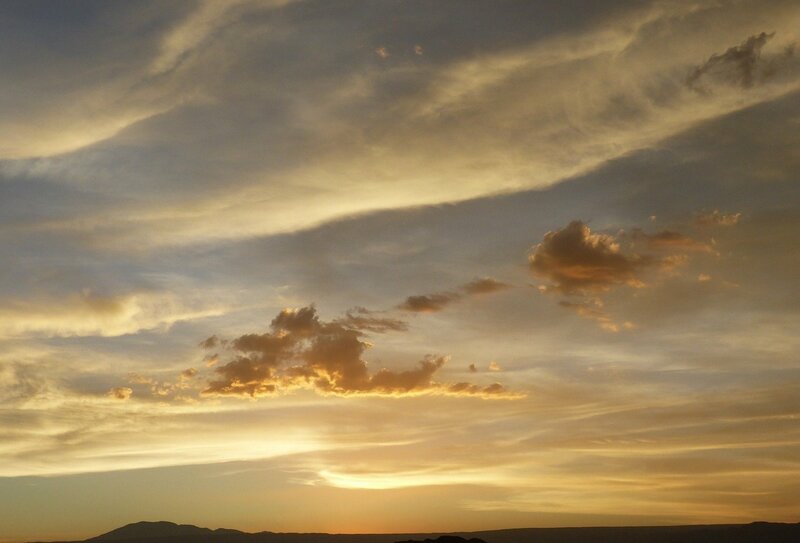 On the evening of day 29 you will board an overnight bus to La Paz. Founded in 1548, La Ciudad de Nuestra Señora de La Paz (the City of Our Lady of Peace) is bursting with museums and historic churches and is famous for its bustling markets. Optional activities in La Paz include a tour to Chacaltaya in the Andes, a visit to the Tiahuanaco Ruins, a city tour or a trip to the unique witches market! Today you travel to the shores of Lake Titicaca. Spend the night in Puno, then the following day board a boat towards Taquile Island, where you’ll enjoy a local lunch and some shopping in the local weaving cooperatives. Travel on to a homestay on the shores of Lake Titicaca and experience some of the traditional local music and dance. During your stay you’ll also take a trip to the floating islands of the Uros people and have the option to visit the ruins of the Sillustani Burial Towers. A 7-hour local bus ride takes you into Cusco, where you can get to know this amazing Peruvian city at your own pace. Optional activities include museum visits, a city tour, horse riding, church visits, whitewater rafting, bungee jumping, a visit to Incan ruins, quad biking and much more! You’ll make tracks for Ollantaytambo today and en route you can opt to take a Sacred Valley tour to visit to a local women's weaving project and watch a local pottery demonstration. Ollantaytambo is famous for its Incan ruins and you can opt to take a guided tour to see this amazing archaeological site, which overlooks the Urubamba River Valley. Leave Ollantaytambo and travel by van to km 82 of the trail, where your epic hike begins! An early start sees you climbing the long, steep path to Warmiwañusca, better known as Dead Woman’s Pass, and which is the highest point of the trek at 4,198m (13,769 ft). You can expect to arrive at camp in the early afternoon, where you can switch off and relax in stunning surroundings. Two more passes are on the agenda today, plus more incredible Incan ruins. Your first pass to conquer is Runquraqay at 3,950m (13,113 ft) where on a clear day you can see the spectacular, snow-capped Cordillera Vilcabamba. Hike gently through cloud forest to your second pass of the day, past Incan ruins and up to a height of 3,700m (12,136 ft) for sensational views of the Urubamba Valley. 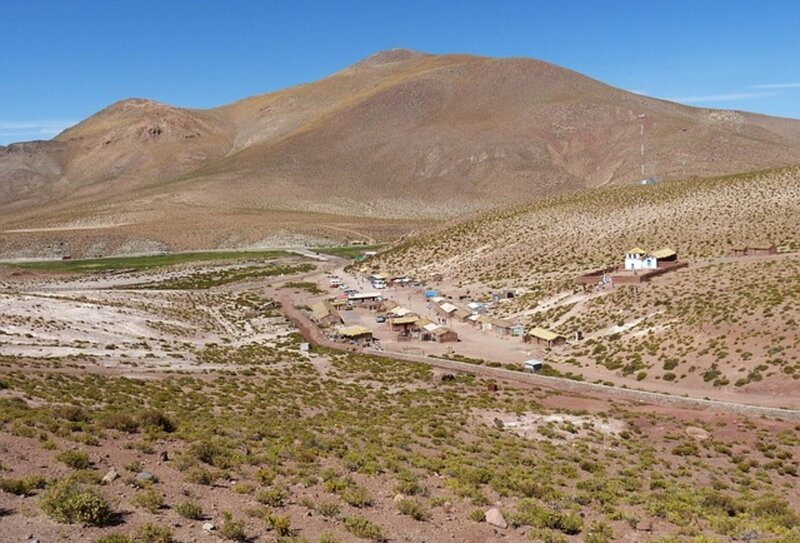 At 3,650m (11,972 ft) you reach the ruins of Phuyupatamarca, the "Town Above the Clouds." Camp either here or 1.5 hrs further along, near the Wiñay Wayna ruins (Forever Young) located at 2,650m (8,694 ft). Wake early, at around 3.30a.m for a pre-dawn hike to the stunning Sun Gate, where you can watch the sunrise. 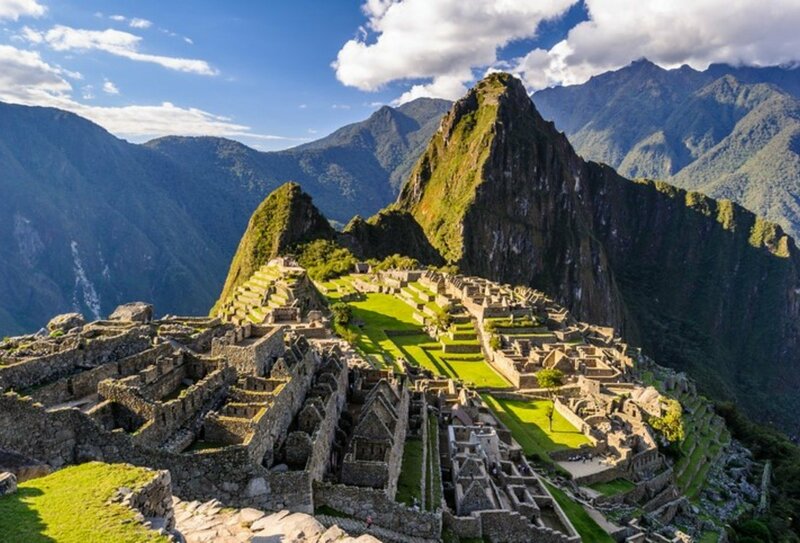 On a clear day you can catch your first glimpse of the breathtaking ruins of Machu Picchu and you'll then hike on to the ancient ruined city of Machu Picchu for a guided tour and free time to explore. If time permits, you can also opt to visit the Inca Bridge. Catch the bus to Aguas Calientes to meet your guide and relax before your train back to Cusco in the afternoon. Enjoy two free days relaxing and unwinding in Cusco, enjoying a well-earned rest after your efforts on the Inca Trail. On day 43 you will take an overnight bus to Arequipa. Lap up the laid-back vibe in the Peruvian city of Arequipa. Soak up the sun as it bounces off the dazzling white buildings and explore the central plaza and cathedral, visit the Convent of Santa Catalina, or just people-watch at a streetside café. Arequipa is surrounded by stunning mountains, such as the famous El Misti Volcano, and you can get a spectacular view of its snow-capped peak from the city. Drive through amazing landscape for an overnight stay at the Colca Canyon, where if you’re lucky you may just spot the king of the Andes, the Andean Condor. Set in breathtaking scenery, you may also see alpacas, llamas and vicuñas as you enjoy a stay off the beaten track. You also have the option to soak your tired muscles in the local hot springs – bliss! Say goodbye to the impressive landscape of the Colca Canyon today and drive back to Arequipa where you will have some free time in the afternoon to make the most of your last few hours in the city. Hop on an overnight bus this evening, bound for Nazca, the site of the mysterious ‘Nazca Lines’. Next stop are the captivating Nazca Lines, an archaeological wonder, where strange patterns and pictures are etched into this flat desert in crisscross patterns. Take an optional light aircraft flight over the lines or learn about Nazca culture on an optional desert cemetery and pottery workshop tour. Be part of a thousand year-old tradition and help create a "Pachamanca" feast this evening. Your first stop today is the beautiful Huacachina Oasis where you have the opportunity to try some optional sandboarding. Follow this up with a visit to the local artisanal winery where you can learn all about wine and pisco production and enjoy tastings. Hop back in your vehicle for the 1-hour drive to Paracas. Join an optional trip to the beautiful Ballestas Islands this morning. Known as Lima’s ‘Little Galapagos’, the Ballestas Islands boast wonderful wildlife such as sea lions, Humboldt penguins, boobies, pelicans, and over 200 species of sea birds. Board a local bus bound for Lima for the 4-hour drive to your final destination. Explore Peru’s lively capital city and sample the delights of the so-called ‘City of Kings’. Your epic adventure tour ends today in Lima and you are free to depart at any time. Say goodbye to your guide and your new-found travelling friends and look back on 51 unforgettable days and some amazing memories! Please note that all optional activities are at an extra cost. This adventure starts in Rio de Janiero (Brazil) and ends in Lima (Peru). Alternatively you can take the airport bus (approx USD9) into the Copacabana area and then hail an official yellow taxi to take you the rest of the way to your hotel (approx USD5). 50 nights’ shared accommodation are included on this epic Rio to Lima Adventure. This will mainly be a combination of hotels/hostels, camping and overnight transport. 36 breakfasts, 7 lunches and 9 dinners are also included on this trip. Please allow USD1260-1640 for meals not included. 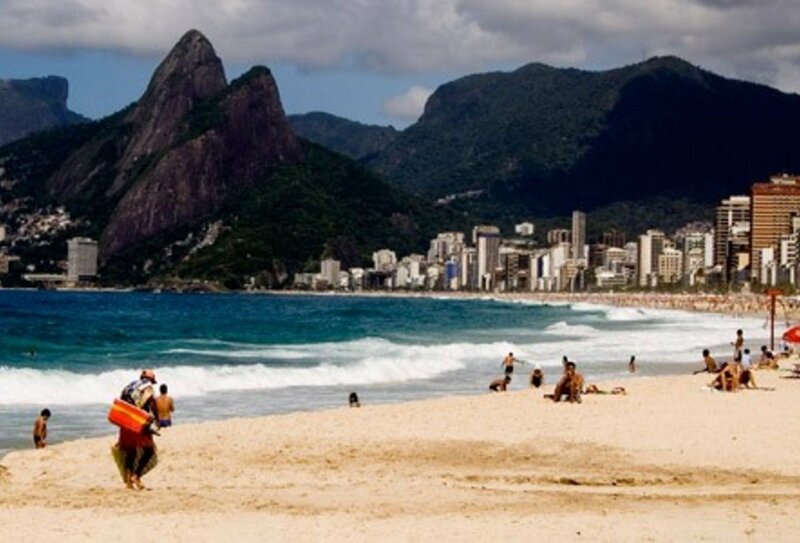 British nationals can normally enter Brazil, Argentina, Uruguay and Peru without a visa. 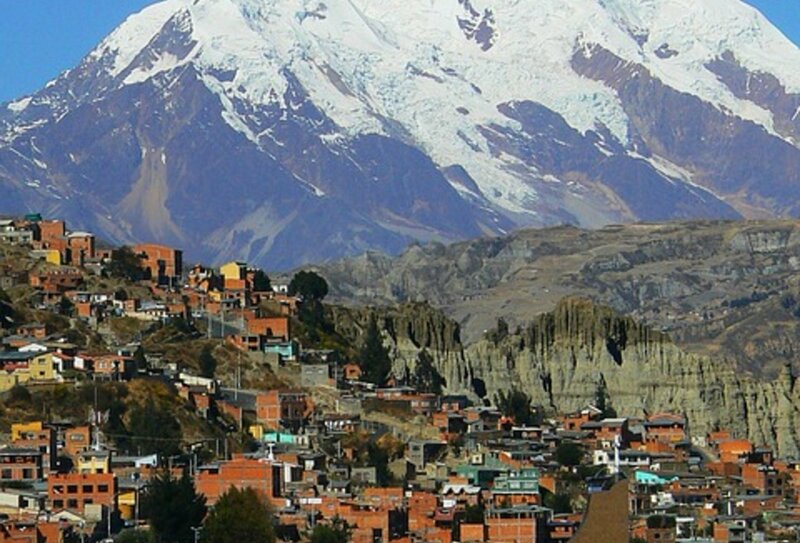 British nationals don’t normally need a visa to visit Bolivia for stays of up to 30 days. British passport holders do not need a visa to enter Chile, for stays of up to 90 days. On arrival in Chile you will receive a ‘Tourist Card’, which you must keep safely and present to immigration when you leave. All visa requirements are subject to change. Please check all up-to-date requirements for all visas with the relevant embassies. Please note: Due to recent changes, the Bolivian authorities now require all travellers to Bolivia to provide a Yellow Fever 'Certificate of Vaccination' on arrival. You should keep your Yellow Fever Certificate with your travel documents when entering Bolivia. As we are not medically trained we are not able to advise you about vaccinations - you should make an appointment with your GP before travelling to get up to date information and advice about receiving the vaccination and other health considerations.